Food and fashion go hand in hand on this 2-hour experience on Dihua Street, a lively market that sells traditional Chinese food items. 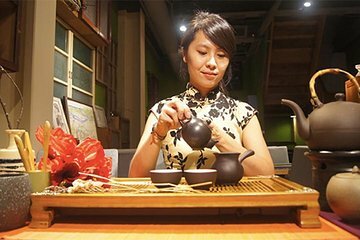 Take part in a high tea service where you’ll learn to brew tea like the Taiwanese. Enjoy small bites with the beverage service, then model a cheongsam—a traditional, often colorful dress featuring bold Chinese designs.